Both Australian Binary plan and Tri-Binary plan looks similar, the only difference between them is during the payout for pair, matching is required in Tri-Binary, whereas no matching is required in Australian Binary. 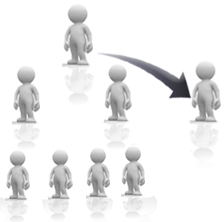 Many MLM plans are approved by the clients, but the Australian binary plan has its own importance. Australian Binary Plan Development is comparable to tri binary plan development. The difference is less but can’t be negotiated.